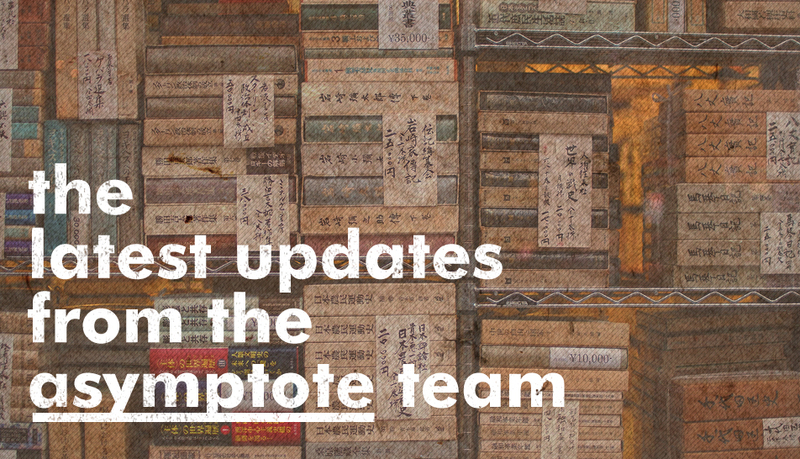 See what our team has been up to, outside of Asymptote! Portions of assistant editor Alexis Almeida’s translation of Florencia Walfisch’s Sopa de Ajo y Mezcal were published at the Fanzine. She also had the poems “Study of My Body the Pantomime” and “17 Sounds for Saint Cecilia” published in Matter Monthly, and she contributed to an Insect Poetics feature in the Volta. Futhermore, Alexis recently had both translations and poems published in issue two of Divine Magnet. 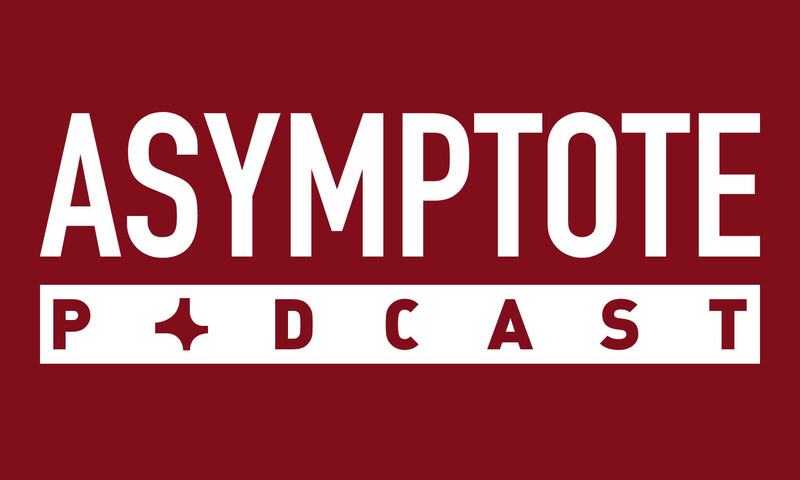 Contributing editor Adrian West’s translation of Marianne Fritz’s The Weight of Things, which you might remember from the January 2014 issue of Asymptote, is now out from Dorothy. Adrian also recently wrote an essay about Marianne Fritz for the Paris Review blog, and a review of Michel Houellebecq’s Submission for the Quarterly Conversation. Furthermore, he had a story of his own published in gorse. Drama editor Caridad Svich’s new play, Aunt Julia and the Scriptwriter, has been featured in Broadway World. The play is based on the novel by Mario Vargas Llosa and directed by Jose Zayas. It premieres on October 10. 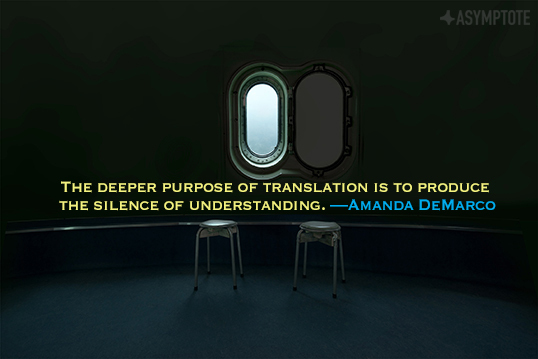 Natasha Wimmer‘s translations include The Savage Detectives and 2666, by Roberto Bolaño. She lives in New York City. An excerpt from poetry editor Aditi Machado‘s translation of Farid Tali’s Prosopopoeia recently appeared in World Literature Today. The entire work is forthcoming from Action Books in 2016. Over at his blog, contributing editor Adrian West joins Michael Orthofer in bemoaning the relative obscurity into which German writer Peter Weiss has fallen and argues that Weiss’s Aesthetics of Resistance might be the most radical novel of the twentieth century. Drama editor Caridad Svich will be giving a talk entitled “Staging Place: Theatrical Crossings in Translation and Adaptation” at Mary Baldwin College’s Francis Auditorium at 7 PM on Sep 21. 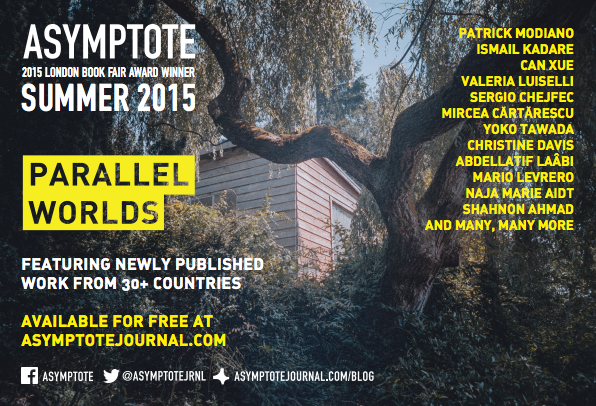 Commissioning editor J.S. Tennant translated Enrique Vila-Matas’s “Writers from the Old Days” for The White Review recently. 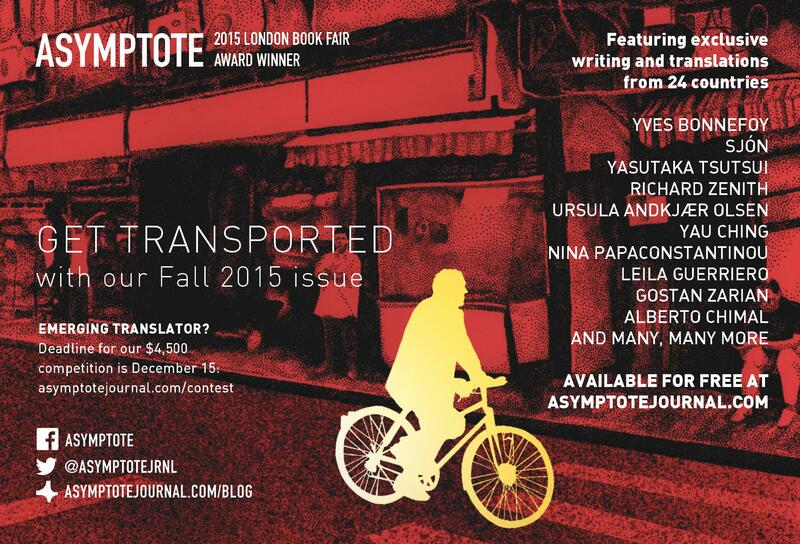 After announcing Close Approximations, our $4,500 translation contest, we're thrilled to share more exciting news! 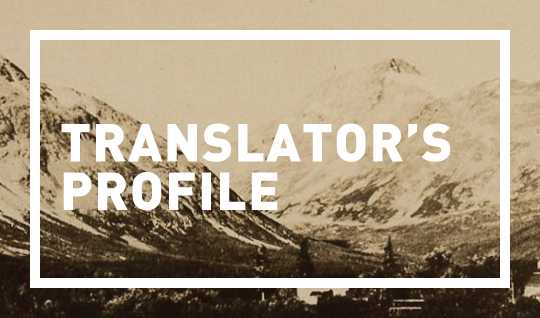 Q&A with K. E. Semmel, translator from the Danish and 2016 NEA Literary Translation Fellow. First, thank you for asking me to do this interview. 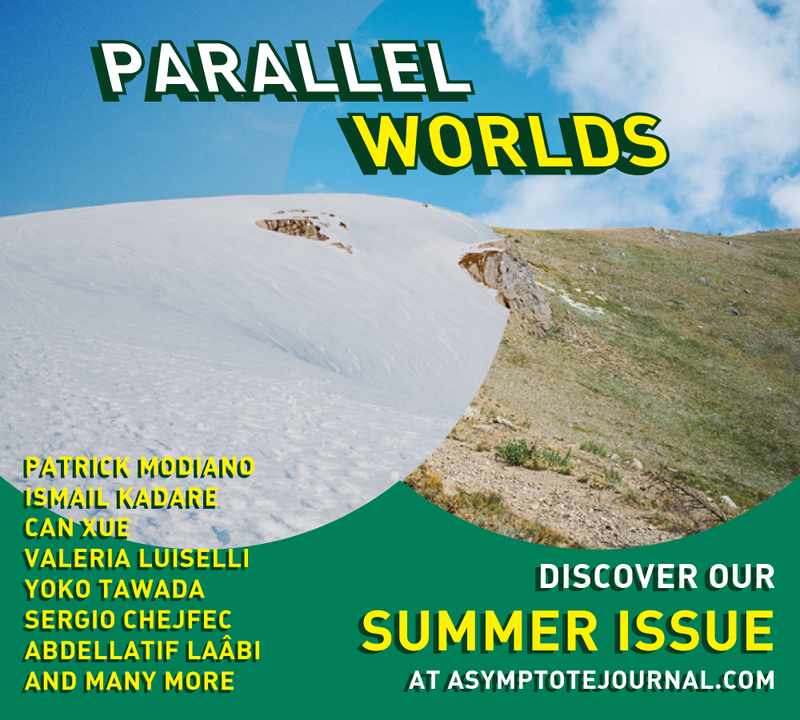 I’ve started an interview series with the Santa Fe Writers Project (SFWP) called “Translator’s Cut,” in which I travel the globe, so to speak, interviewing translators about their work. So I’m more used to being on the opposite side of an interview. Q&A with Susan Bernofsky, translator from the German and Director of Literary Translation at Columbia University. Susan Bernofsky directs the literary translation program in the School of the Arts MFA Program in Writing at Columbia University. She has translated over twenty books, including seven by the great Swiss-German modernist author Robert Walser, Kafka’s The Metamorphosis, Hesse’s Siddhartha and, most recently, The End of Days by Jenny Erpenbeck. 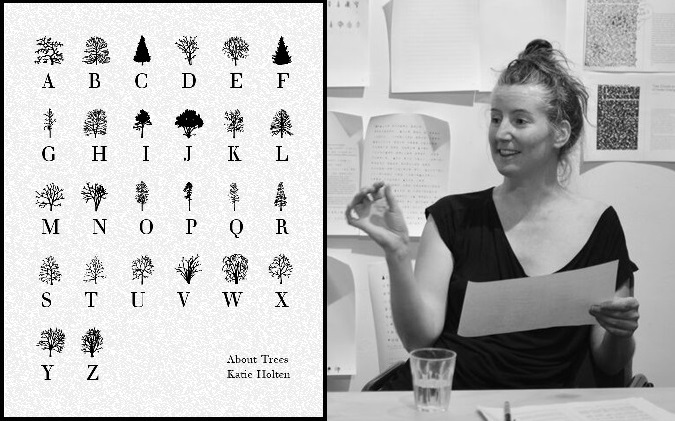 Her many prizes and awards include a Guggenheim Fellowship this year, as well as the Helen and Kurt Wolff Translation Prize and the Hermann Hesse Translation Prize. She blogs about translation at www.translationista.net. Susan Bernofsky: I’m working on a gorgeous and bizarre novel about polar bears by Yoko Tawada called ETUDES IN SNOW. It’s a three-generation story inspired by the short, tragic life of Knut, the baby polar bear born in the Berlin zoo in 2006, but that’s just the jumping-off point for her novel. It’s really a book about identity (national, species, etc.) All the main characters in the book are polar bears, and are described in their physicality as polar bears, but at the same time they move in human society, without any acknowledgment that there might be a contradiction here. The grandmother character, born in the Soviet Union, becomes a writer. As an author of polar bear extraction, she’s an ethnic minority. She later emigrates to Canada, from where her daughter returns to Europe, landing in East Germany, where she takes a job at a circus and experiences the fall of the Berlin Wall. It’s a funny, sad, moving book. Contributing editor Aamer Hussein was interviewed by Kindle Magazine about his latest short story collection, 37 Bridges. Poetry editor Aditi Machado‘s translation of Farid Tali’s Prosopopoeia has been accepted by Action Books for publication in Fall 2016. Contributing editor Antony Shugaar has not one but two translations scheduled for publication in August: Nobel laureate Dario Fo’s The Pope’s Daughter (Europa Editions) and Fausto Brizzi’s 100 Days of Happiness: A Novel (Penguin Random House). Over at his blog, contributing editor Adrian West weighs in on Rainald Goetz winning the Büchner Prize 2015—a controversial choice—and makes a case for Goetz’s relevance.